﻿﻿S﻿﻿﻿ukehe aloo is a mouthwatering delicious dish one can never get enough of it. Sukehe aloo and poori is one of the favorite breakfast combinations in North India. In Hindi Sukhe mean dry and aloo means potato. This dish consists of nothing but potatoes and spices. 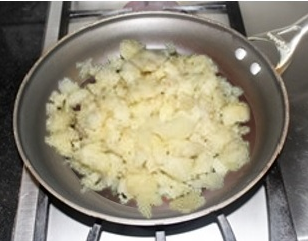 Boiled potatoes are sautéed with oil and spices. 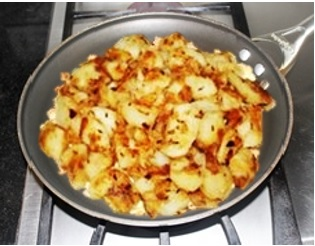 The spices form a thin, aromatic spicy-tangy crispy crust over the potatoes making them delicious to eat. 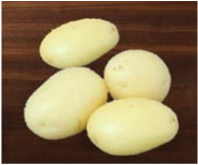 Sukhe aloo is a very quick and simple to make side dish goes well with any combination of dal and vegetable dish along with rice and chapattis or parathas or pooris. Arhar dal (Toor dal) with sukehe aloo, Dhania chutney accompanied with rice is another popular combination. 1. Wash the potatoes and remove any imperfections. 5. let the Potatoes cool down. ​6. 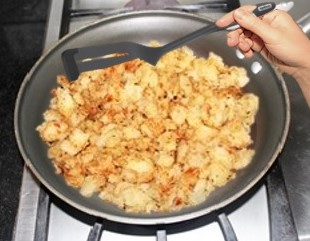 Peel the Potatoes with the fingers. ​ a knife cut them into small pieces. 9. 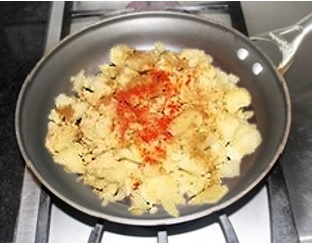 Add crushed chilies and fry for few seconds. 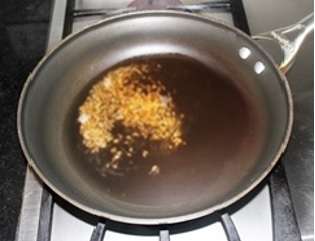 a spatula mix every thing together and fry on medium heat. 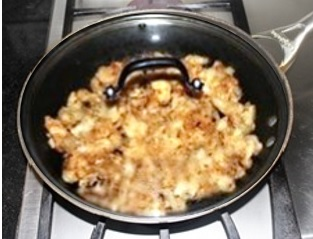 potatoes and mix with spatula. 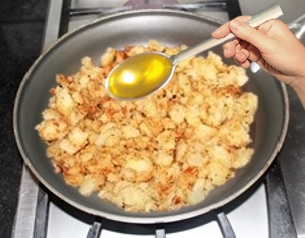 you have the desired crispness turn the stove off. 16. 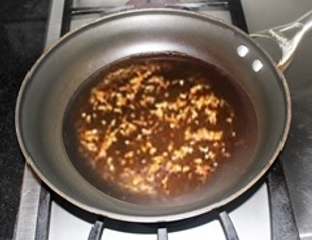 Serve Aloo ki sabzi hot.